For those who have wondered if I really have a family, well here's proof. Two wonderful girls, Emilie and Katie. Two great looking boys, Jonathan and Joseph. One great wife Kathie, who keeps everything flowing while I am on the road. South Korean Jr. yodeling contest winners. 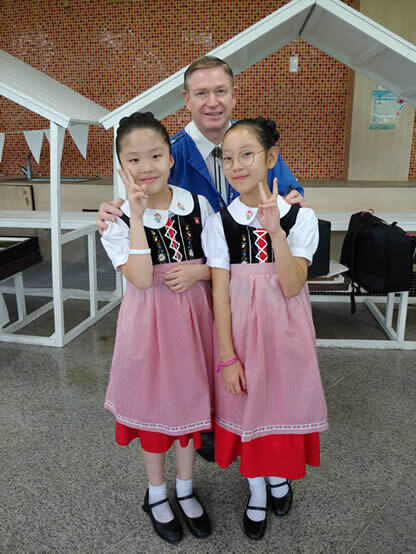 These two small Korean girls were the winners of the Jr. division of the South Korean country wide yodeling contest that I was the judge of this last August 2018.